Forza expansion packs used to be ambitious, tech-breaking experiences featuring experimental weather effects, such as the Storm Island expansion from the previous initiation of the series. However, as consoles get more powerful the acceptance of those types of packs disappear, as gamers desire weather as a core feature. So for the next DLC on the latest title, the developers could do only one thing and go insane: a Hot Wheels Expansion. The Forza series prides itself on the emotional connection between gamers becoming car enthusiasts and car enthusiasts becoming gamers; Hot Wheels embodies those feelings for children. In a powerful nostalgic trip the expansion will introduce classic Hot Wheels cars into the mix such as the 1969 Twin Mill, 2011 Bone Shaker, 2012 Rip Rod, and the 2005 Ford Mustang Hot Wheels Edition. Even those without a Hot Wheels bone in their body can find a special car from the mix of other cars in the pack which includes the 2016 Jeep Trailcat, 2016 Zenvo ST1, 2007 Toyota Hilux AT38, 2010 Pagani Zonda R, and — finally something special — the 1972 Chrysler VH Valiant Charger, the only Australia-designed Chrysler. The expansion is also not just about the cars, with the map of Australia altered to feature Hot Wheels tracks weaving between pretty much everything. You will be able to race into this DLC expansion in just under two weeks with the title hitting both Xbox One and PC on May 9. As Nnooo heads past its tenth anniversary, the publisher has announced two new titles for Xbox One and PlayStation 4, with Nintendo Switch editions in consideration. The first game, Mallow Drops from Australian developer John Kane, has won multiple awards. The gravity puzzle game features two kiwis — Marsh and Mallow — that the player must guide to rescue their eggs. 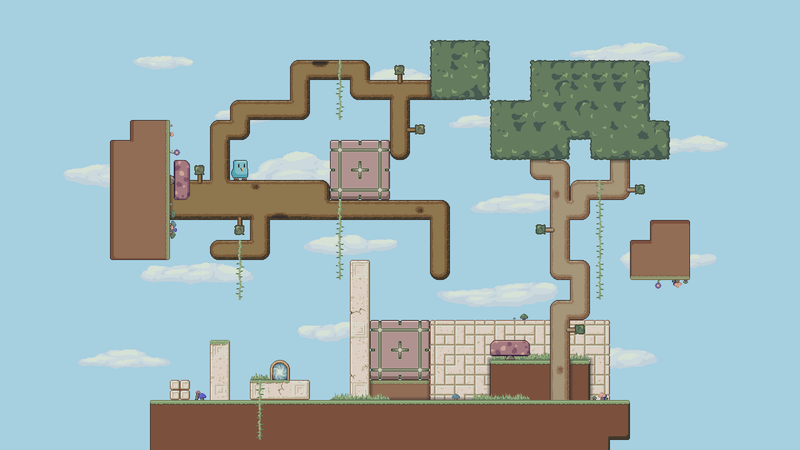 Players will be tasked to avoid Wooly Jumpers and Dirty Underbears in this platformer mixed with gravity-defying block puzzles. The other title, Armed with Wings: Rearmed, was a 2015 PAX Australia Indie Showcase Winner from local developer Daniel Sun. The game is a 2D action platformer with puzzle elements set in a dangerous world ruled by darkness and imperial tyranny. Players will defeat enemies with electrical powers coming from their sword while an eagle companion explores the skies to distract guards, move objects, and collect unreachable items. Fans were treated to both newly-announced titles at GX Australia this past weekend. Nnooo has not revealed when the PlayStation and Xbox versions of the titles will hit the platforms, and the publisher is also only just beginning assess the ability to port its library to the Nintendo Switch. However, both games are self-published for PC by the developers and currently available on Steam. The Bandit Clan comes to Armello! Armello looks like a small indie game in Olympic weight training: slowly but steadily, it has been beefed up with updates and DLC since its release 18 months ago, when our reviewer Nick gave Armello 4.5 stars for a good reason. It is one of our favourite digital board games here at DDNet. The Melbourne-based studio League of Geeks has announced a delightful surprise: the Bandit Clan, which was previously only available to Kickstarter backers, will become available as DLC on Steam from May 25 and will also come to consoles at a later date. The game's seventh major content update, Wyld's Ward (build 1.7), has just arrived on Steam, giving Armello a really well-muscled physique. Horace, The Iron Poet, an old badger knight too skilled to die. The 50+ new quests that are exclusive to the Bandit Clan involve banditry type activities. There are also useful new goodies included, such as a clan ring which prevents characters losing Prestige. The premise of the story that’s intriguing: a young female police officer becomes the target of a concerted campaign to spread fear and violence in Shinjuku and a poisonous collar is attached to her neck. Romance would hardly be the first thing on your mind under these toxic circumstances, yet one of five mysterious strangers (all handsome, of course!) is her only chance to break the chains of malice holding her and the city to ransom. Now, the idea of a young woman infused with poison calls to mind another visual novel — Code:Realize. So I’m wondering: did IF/Otomate decide to recycle an idea that proved very successful? Or is this story significantly different and only on the surface uses a similar prop? As expected for a visual novel, there are branching storylines with multiple endings. The question of “whom can I trust?” will obviously play a big part in the choices you make. You’ll need to use those detective skills to piece together the truth; the collar is the key to the sinister scheme threatening not only your life but the whole city’s future. I sure love a deep mystery, spiced with delectable husbandos, and hope Aksys deliver on their promise of a gripping story with a diverse cast of characters.